Accepting an award at the Australian Multicultural Marketing Awards (AMMAs) last night, President Dr Ghayath Al-Shelh from The Islamic Charity Projects Association pressured the media and politicians to stop associating the Muslim community with the terrorist group Islamic State (IS). “All Muslims disown these people for the violence they’ve been doing. In fact they are not Muslims for their barbaric acts,” he added. The Fifth Bankstown Islamic Charity Projects Association (ICPA) Scout Group was chosen from 18 other AMMA finalists to take out the SBS People’s Choice. The Scout group promotes social cohesion through education activities and services to the young Muslim community. The plea only heightened the importance of the AMMAs and highlighted the responsibility all marketing and media professionals have in targeting audiences, particularly those of diverse backgrounds, correctly. The awards, held at the Sydney Opera House, were organised by Multicultural NSW and celebrated the best marketing executions that effectively targeted Australia and its diverse communities. The champions of the night were the GWS Giants AFL Football Club, named as the winner of the Big Business Award for their success in selling the Australian game to migrant communities. “The AFL and Greater Western Sydney Giants have a strong commitment to diversity and raising awareness of the game in multicultural communities,” said the minister for citizenship and communities, Hon. Victor Dominello. 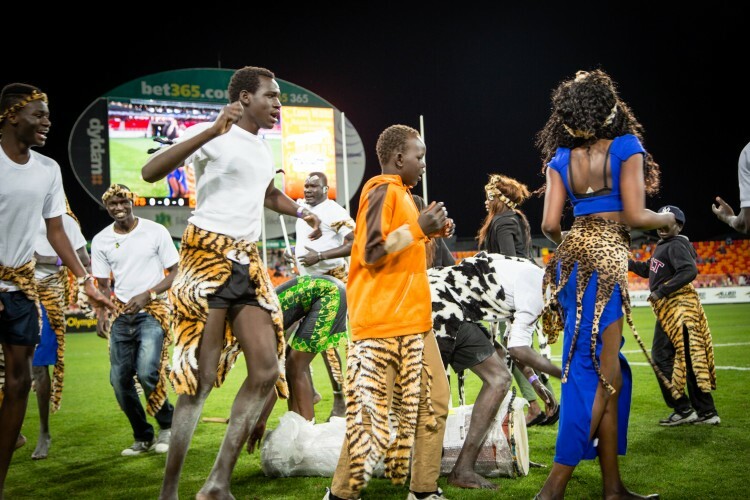 The Multicultural Round of the AFL played at Sydney Olympic Park on July 19 2014 was dedicated to acknowledging and celebrating cultural diversity. It was topped off with a formal citizenship ceremony for 54 new Australian Citizens on the field at half-time. The Giants presented new citizens with membership to the football club. “I congratulate the Giants on their achievement in raising the bar on multicultural practice, diversity, harmony and inclusion in Western Sydney,” Dominello added. The Chinese Precinct of Commerce was named winner of the Communities Category of the Awards for a campaign to motivate members of the Chinese Australian community to embrace celebrations for the ANZAC Centenary in 2015.